Unfortunately that Wheels bus “Adjustment” reduces midday service from 30/45 to 45/60 on my route. Here is a screenshot of the near-collision in Bernal Heights. It’s annoying to read the Hoodline commenters saying the SUV did nothing wrong and “virtually completed” their turn so why didn’t the bicyclist go behind the vehicle, etc. 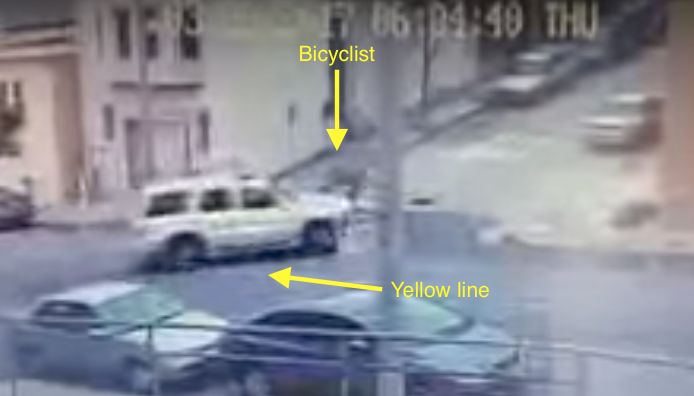 Here you can see the SUV turning into the cyclist’s path and nearly hitting them.